Any famous landmark needs a fresh take, a new angle. 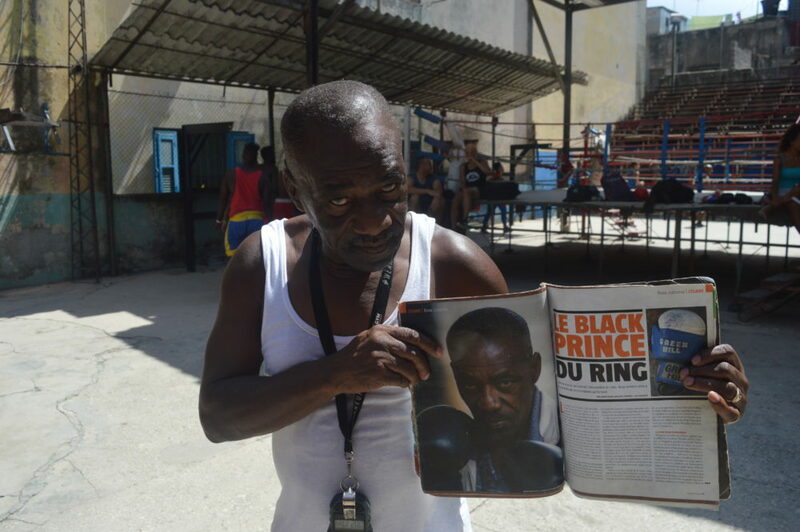 Dozens of journalists, photographers and fight fans pass through the hallowed door of Havana’s Rafael Trejo Boxing Gym each week, in hope of capturing the essence of a location crucial to Cuba’s incredible Olympic legacy. 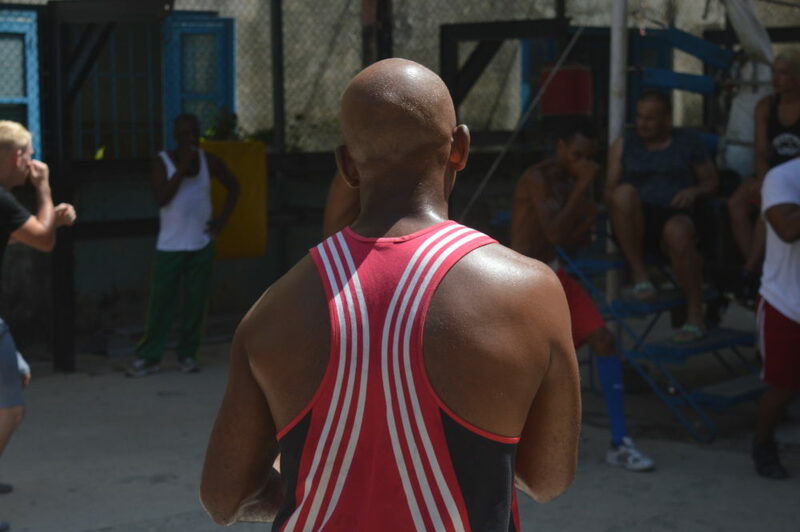 Long before an athlete joins the roster of La Finca-­‐ the sporting academy for medal contenders – the majority of Havana’s young fighters first wrap their hands at this romantically rundown urban gymnasium. 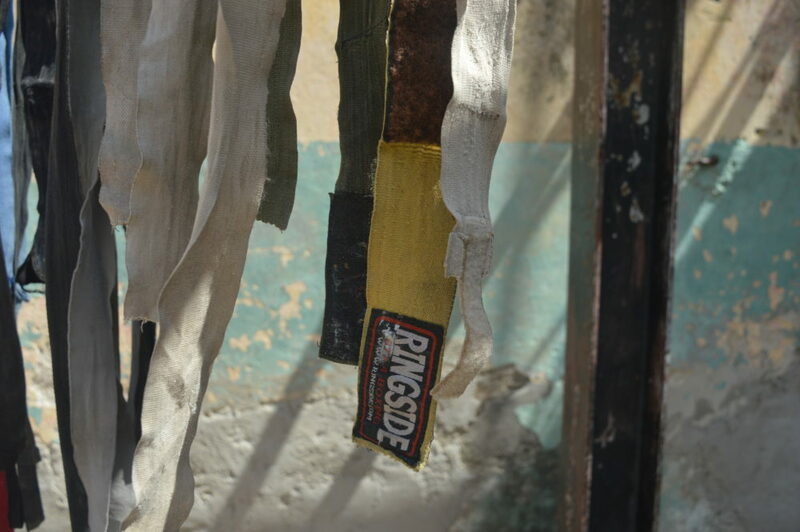 The outdoor spot, wedged between decaying houses, is a mix of crumbling concrete walls and colourful equipment; a contrast that represents the hard work and flamboyant techniques that have been taught here for decades. Rusted beams holdup a corrugated iron roof to protect the ring from tropical showers, while the national flag is boldly represented by a red, white and blue colourway; covering ring-­‐posts, ropes and stairs. Yet on the morning of my visit, it’s the blonde hair and blue eyes of one young boxer that instantly stand out. The pale pugilist is Kazakhstan’s Dima Voit, an eighteen year old amateur, flown to Havana by trainer and mentor Florin Catuna in hope that the young prospect can learn the sport’s Cuban fundamentals, before his imminent professional debut. Catuna, the head of German promotional outfit CPI Boxing, is joined in attendance by his wife Hulya. 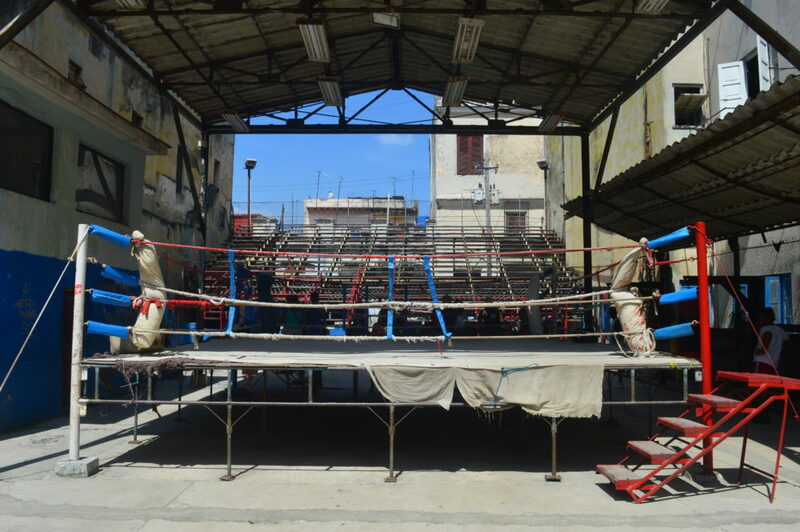 I find the couple -­‐ physical, muscular specimens -­‐ sat on the ring apron, transfixed on their talented discovery, as he goes through a one-­‐on-­‐one session with veteran coach and decorated champion Nardo Mestre Flores. ‘We came to Cuba to learn movement’, Hulya tells me. ‘Coach told us we have a very smart boxer’. As local fighters arrive, the foreign student and teacher continue drills that appear more ballet routine than boxing exercise. They dance around a shabby glove placed on the dusty floor; Dima’s classically European Adidas boots following the maestro’s flashy Mizuno’s. He’s seven days in to a two-­‐week camp, bankrolled by CPI. 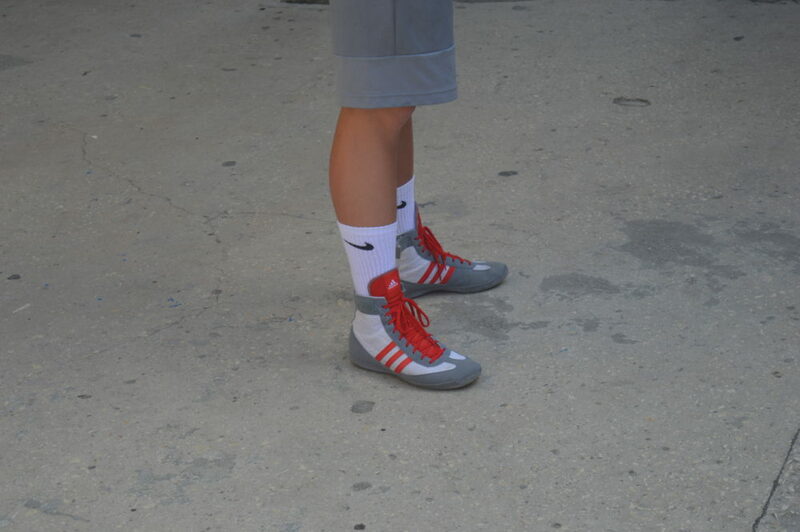 In Cuba, the paying customer is pretty much always right, yet Coach Nardo’s compliments seem sincere and are broken-­‐up with pauses, allowing the expert to deliver guidance whenever his visitor takes a false-­‐step. ‘Dima came to us as a problem kid from a not good background. He always had issues with fighting on the street’. 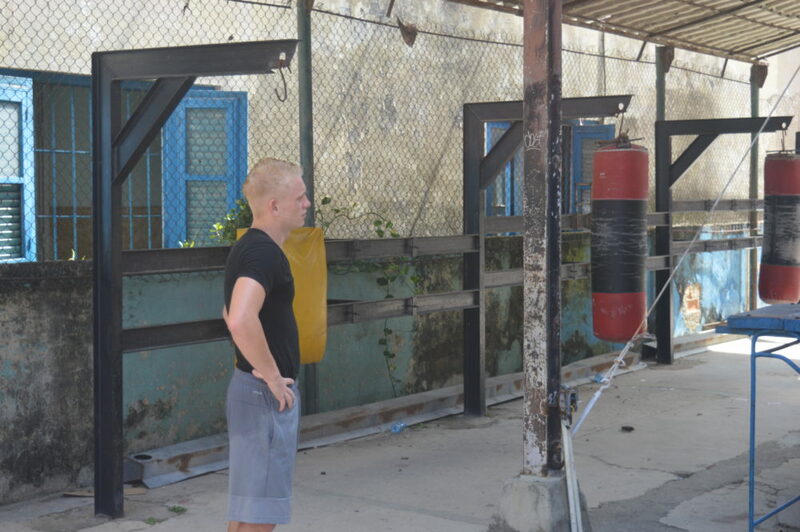 A former kickboxer, Catuna and his partner introduced their new recruit to the sport where Florin had carved his own combat reputation, in an attempt to channel the young man’s aggression. At 13 years old and with 25 victories under his belt from 30 bouts, the couple gave Dima the choice of turning pro in the kickboxing ranks, or trying his hand at boxing. ‘He had nine box fights, all victories, winning the title at the German junior masters, and the award for best technical boxer of the event’. Happily following instructions and interacting with the native fighters -­‐ now also stripped to their trunks and vests, ready to work under the blazing sun -­‐ it’s difficult to picture Dima as a tearaway. As the gym swells with participants of all weights and sizes, ranging from teen to middle-­‐aged, Nardo turns his attention to the communal session, which Dima joins. Playful stretchers, light laps of the ring, extensive shadow boxing; all managed by Coach’s basic silver whistle and stop-­‐watch combo. The group split into pairs, Dima matched with Eduardo; a rangy, slick, fleet footed proposition that looks capable of nicking your dinner money before you’ve realised he’s been near your pockets. The spar takes place outside the ring and stands out skill wise amongst the other clashes. Dima works on his defensive tools, letting Eduardo come forward, he bobs, roles and weaves away from long looping shots while landing his share of counters. He’s picked up a thing or two in Havana and the Catuna’s certainly seem satisfied with their decision to visit. 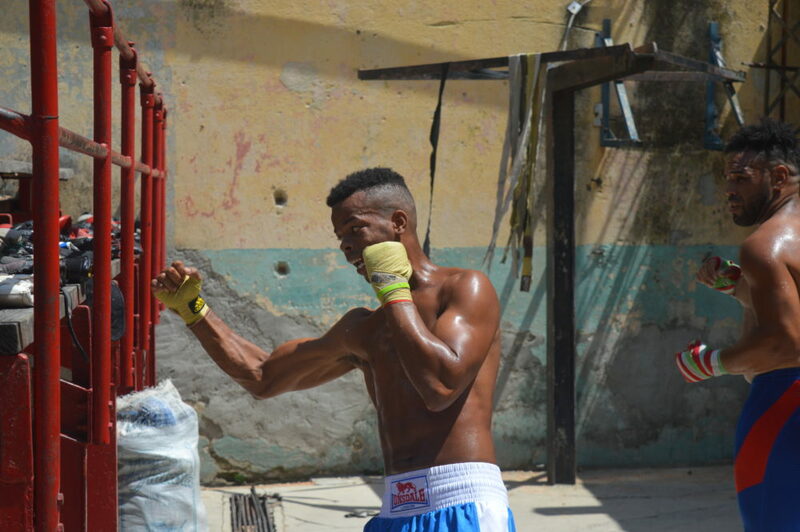 ‘For preparing the professional boxing life, we started with this trip to Cuba to learn from the famous boxing teacher Nardo. He showed him a different way of boxing, more foot moves’. Coach also looks happy with the fruits of his schooling; nodding with appreciation as Dima uses the first row of the bleachers like ropes, sliding his back along the wooden bench while covering up smartly to avoid another flurry of Eduardo’s intricate combinations. ‘Style Cubana, style Cubana!’ cries Coach, as the session ends. The light skinned Dima looks relieved to climb out of the sun and into the ring for the warm-­‐down, a touch jaded, as his manager reels off the remaining details of their tour. ‘Miami next, which is great. We are heading to American Top Team gym to visit our friend, UFC’s Jessin Ayari. There are 40 UFC fighters who train there, it’s huge’. The Catuna’s clearly have faith in their young light-­‐welterweight, and are willing to put their money where their mouth is. After Miami, I learn they’re heading to the Mayweather Gym in Vegas for a fortnight. They’re firm believers in a global education, talking of possible Chinese and Mexican excursions down the line. It’s a clear plan of action and fantastic experience for a fighter who, judging by the eye-­‐test and flattering feedback, should have a successful future in the sport. 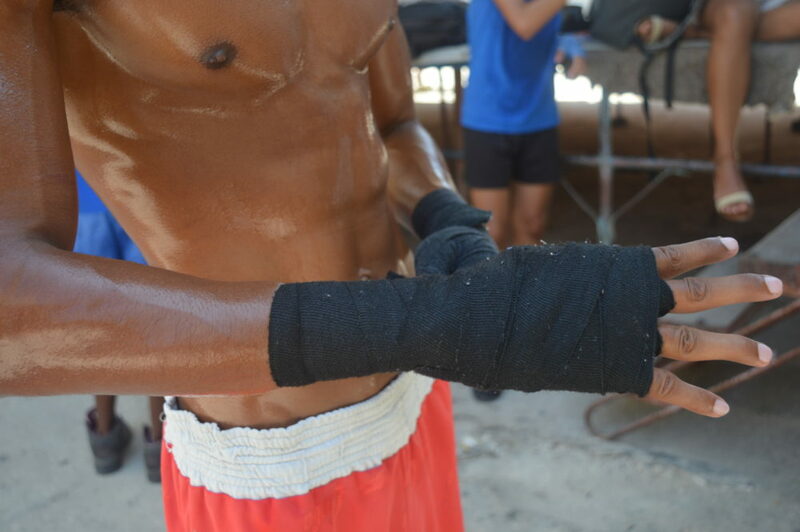 The future of Cuban boxing on the other hand, is far less certain. 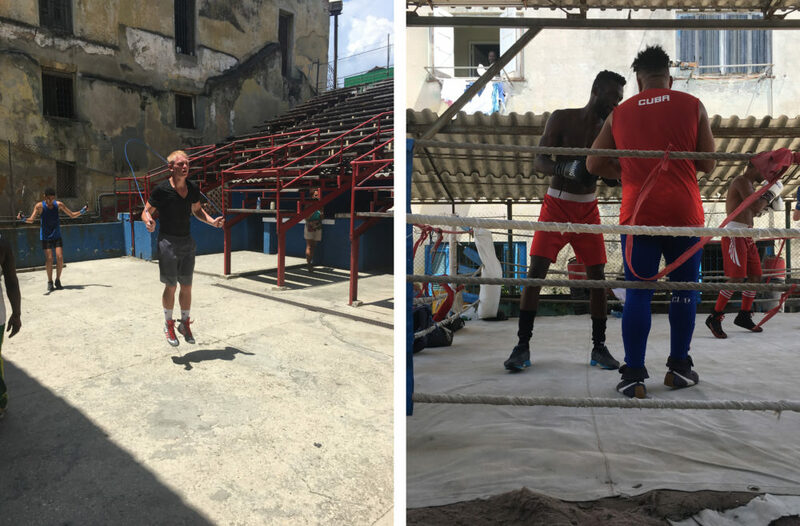 While Dima’s team are not the first non-­‐nationals to train in Havana, the recent relaxing of trade laws allows for much easier access to and from the island. Outside investment is much needed by the gym, yet it’s difficult to forecast how increased foreign interest and the loosening grip of the Castro regime will affect the country’s previous conveyor belt of talent. Sport -­‐ in particular boxing -­‐ has always been a vehicle to showcase the achievements of the Revolution on a global, Olympic stage. 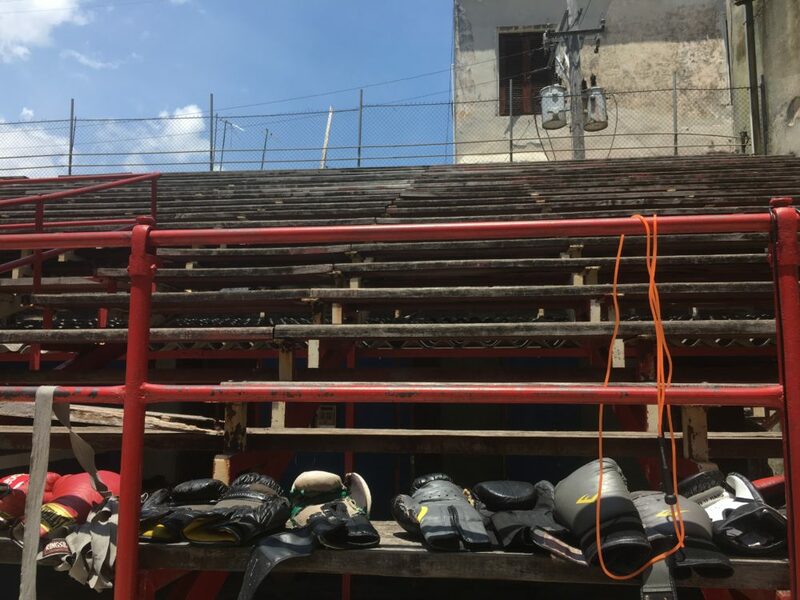 With the government now shifting its attentions to tourism and foreign trade, do establishments, such as Gimnasio de Boxeo Rafael Trejo, begin to prioritise paying fighters from overseas, rather than creating home-­‐grown talent? It’s unlikely that Cuba will fail to add to their record 73 boxing medals at Tokyo’s 2020 Games. Yet their obsessional commitment to outperform the old North American rival may be waning somewhat, in light of more lucrative and important opportunities on the horizon. Dima Voit will not forget his fourteen days on the island that has produced thirty-­‐seven boxing gold medals, that’s for sure. It’s no surprise when he tells me he’s a big fan of fellow countryman Gennady Golovkin; the hard-­‐hitting, undefeated, current middleweight king. Cuba may have played a small part in producing yet another champion, all be it one from Kazakhstan.